A recent survey of 2300 CIOs from twenty-three different cities in the US found that one out of four have no mobile strategy. While there are many all-too-predictable reasons for this — budget restrictions, lack of ownership, believing mobile is a “nice to have” rather than “need to have” strategy, and simple old-fashioned inertia — these reasons pale beside the potential losses incurred by not taking advantage of the wealth of opportunities that mobile presents. Today, I’d like to share a roundup of compelling reasons to make mobile a priority in 2015. 1. More than 1.2 billion people worldwide use the web via mobile devices. 2. 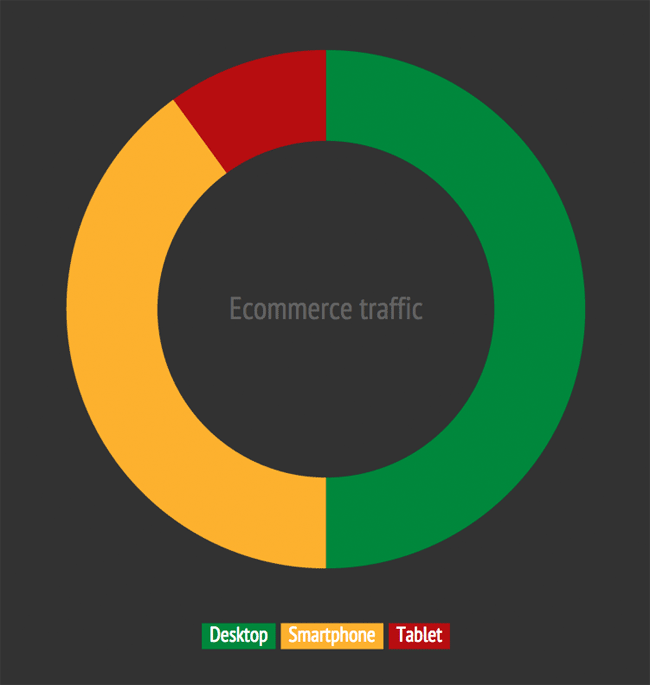 Mobile accounts for half of all ecommerce traffic. 4. Up to 97% of mobile shopping carts are abandoned. 5. Even if your users aren’t converting on their mobile devices, mobile is still a crucial element in the transaction. 6. Mobile users expect pages to load as fast as, if not faster than, pages on desktop computers. 7. The median ecommerce page doesn’t meet user expectations for speedy load times. 8. When pages are slow, user frustration increases and engagement decreases. 9. Just a 1-second delay in mobile load times can hurt bounce rate, conversions, cart size, and page views. 10. The average page served to mobile devices is now over 1 MB in size. 11. Globally, 3G is still the dominant network type. Delivering a fast, consistent user experience across devices – particularly mobile – has never been more crucial than it is now. There’s no magic bullet for mobile performance, but there are many best practices site owners can leverage. The best tips for designing a mobile-friendly site are universal for all platforms: keep pages clear, simple, and concise. 97% of mobile response time happens at the front end, after the HTML arrives at the browser. This means that the front end – the web page itself – is where site owners can focus their performance optimization efforts and achieve maximum results. Radware FastView offers the most advanced set of front-end optimization features on the market. Learn more. None of the “user response to page load time” studies I have read distinguish between the landing page and subsequent pages. Yet all the advice I read on keeping page load times below 1 (2, 4) seconds assumes they are the same, even though it is much easier to make subsequent pages faster (with caching and / or history.pushState). Anecdotally, people are much more forgiving of a slower landing page. Can you point to some studies that have evaluated the different expectations of landing and subsequent pages? costs. Reed beds present sludge dewatering by plant consumption, evapotranspiration, and drainage. lookout for thhis information for my mission. and organized approach can be its strength as well as weakness in terms of flexibility and compatibility.